We have been treated to shredding, misconstrual, interminable delays, ignoring our filings, phantom disappearances from the mailroom of unregistered mail, and innumerable other mysteries on our claims. I have told you the bag of tricks is endless and a constantly evolving phenomenon. LawBob sends me this latest involving his filings. In order to enjoy it in it’s original state, I include a perfect copy and paste reproduction of his transmission. The latest ploy in the ongoing effort of VA to be more creative in monkey wrenching benefits claims comes out of the Detroit VARO. Detroit was center stage in Shredder Gate. They are watching the shredders and elevator shafts. A new plan is needed. Why not send the evidence back to the veteran or attorney? Yeah, that’s the ticket. Send it back! Send it back! Send it back! We had two submissions sent back over the past few months. After having a circular discussion for 5 min. with Dave, Shawn put him on hold and told me what was going on. Soooooo. . . . . I got on the line with DAVE. He spelled out his position. I told him that evidence was evidence and NOT to send any back to me. He said he was going to send it back. It was making the file too large, and that I needed to say what issue it should be associated with. But. . . he would or could not tell me what veteran it was for so I could look at the file. I told him if it came back here there would be an investigation. He said I was being unprofessional and I raised my voice and he was going to hang up on me and it was not a very nice way for an attorney to behave. I told him once again that there would be an investigation and hung up on him. I will sent this evidence to Thomas. He can take it over to Big Red and drop it on her desk. Maybe she can find a way to get it in to the claims file. Of course we will NOT get a refund for our postage and certified mail costs. 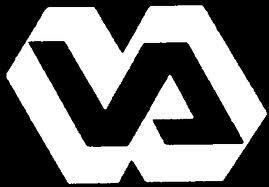 And I won’t call on the VA OIG pukes. I will ask the FBI to look into it. So beware pilgrims. Make sure you go to Office Depot and get one of those self-inking rubber stamps with your name, rank, airspeed and tail number along with your last known heading. Ask them to put a happy face at one end of it so the Intake boys and girls will know you aren’t upset. This entry was posted in SHREDDERGATE, Veterans Law and tagged asknod.org, asknod@wordpress.com, Gulf War Vets Help, Help with vA Claims, Helping Veterans, Veterans claims help, Vietnam Veterans Claims Help.. Bookmark the permalink. Is anyone greatly surprised? Awfully expense postage back the attorney. It hit me while reading this that what a cluster if it turned out to be a veteran who the attorney isn’t even representing? I cracked myself up on that turn of events should it happen. I must be suffering early stage Alzheimers. Please forgive me here… is the VARO threatening to send back 300 pages of evidence because it isn’t identified as to whom it belongs?